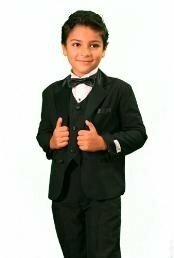 Selecting boys dress suits is one tiring job for all moms and we know that is why a lot of parent choose top shop online for their kids. We can have wonderful time shopping outside when we are at good mood and when there is enough leisure time but, when we don't have much time to spend especially for shopping and tiring our self as an outcome, most of us choose to do online shopping which is time saving and has a lot of choices which is open all time. Shopping with kids is one thing that will require some extra time, patience and it just difficult to handle them or ever satisfy them during the process. How much ever you keep patient with them, they easily get distracted or just lose interest in shopping and won't cooperate with you. While shopping for suits for these kids, all you need to do is to prepare yourself mentally about the rates and designs that you have decide for them. This will help you out in the process of finding the right suit and the right model that is good for your son. Many of us have a concern over finding a good looking boy suit but will have to think about the money we spend for it. Children tend to grow up very fast and it is practically wastage of money to spend high price over their suits unless it is really important of if you can afford to. 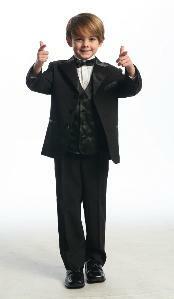 At MensUSA we provide attractive goo quality boy suits at much cheaper price. You need not hunt for places where you can find discount suits that have damages or of low quality. You can get what you want at a price that can make you feel satisfied.